November 8, 2018 -- Artificial intelligence (AI) will change radiology practice more than anything since Wilhelm Röntgen's discovery of x-ray, according to researchers from Italy. In new analysis published on 24 October, they assert that radiologists can play a leading role in this upcoming period of rapid change. 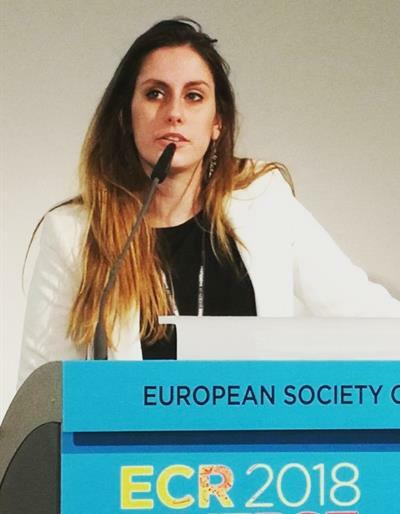 In their article, Dr. Filippo Pesapane; Marina Codari, PhD; and Dr. Francesco Sardanelli provide basic definitions of terms used with AI, analyze various aspects related to integrating AI, and give an overview of AI's threats and opportunities to radiologists (European Radiology Experimental, 24 October 2018). Awareness of the trend is a necessity, especially for younger radiologists, they said. 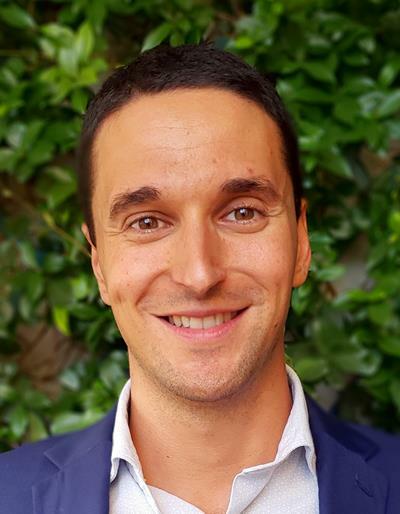 "The time to work for and with AI in radiology is now," wrote Pesapane, from the postgraduate school in radiodiagnostics at Università degli Studi di Milano, and co-author Codari, from the unit of radiology at IRCCS Policlinico San Donato, also in Milan. 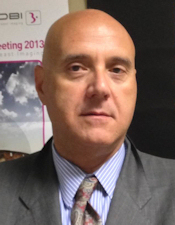 Sardanelli is from the department of biomedical sciences for health at Università degli Studi di Milano. No doubt about it -- AI is skyrocketing in the radiology sector. Publications on AI drastically increased from about 100 to 150 per year in 2007 to 2008 to 700 to 800 per year in 2016 to 2017, according to Pesapane, Codari, and Sardanelli. But what is AI? The term is applied when a device mimics cognitive functions, such as learning and problem-solving. More generally it refers to a field of computer science dedicated to creating systems performing tasks that usually require human intelligence, branching off into different techniques. Machine learning, for instance, includes all approaches that allow computers to learn from data without being explicitly programmed. Deep learning falls under the machine-learning umbrella. Deep-learning methods belong to representation-learning methods with multiple levels of representation, which process raw data to perform classification or detection tasks, the authors wrote. Machine learning incorporates computational models and algorithms that imitate the architecture of the biological neural networks in the brain. Neural network architecture consists of layers composed of interconnected nodes. Each node of the network performs a weighted sum of the input data that are subsequently passed to an activation function. Weights are then optimized during the training phase. The three different layers include the input layer, which receives input data; the output layer, which produces the results of data processing; and the hidden layer(s), which extracts the patterns within the data. "Success in deep-learning application was possible mainly due to recent advancements in the development of hardware technologies, like graphics processing units," they wrote. "Indeed, the high number of nodes needed to detect complex relationships and patterns within data may result in billions of parameters that need to be optimized during the training phase." Deep learning requires huge amounts of training data, which, in turn, increase the computing power needed to analyze them. "Radiologists are already familiar with computer-aided detection/diagnosis (CAD) systems, which were first introduced in the 1960s in chest x-ray and mammography applications," they added. "However, advances in algorithm development, combined with the ease of access to computational resources, allow AI to be applied in radiological decision-making at a higher functional level." The authors see AI as the next step in the evolutionary process of radiology. In the past decades, medical imaging evolved from projection images, such as radiographs or planar scintigrams to tomographic images, such as ultrasound, CT, PET, MRI, etc., becoming more complex and data-rich. "The increasing amount of data to be processed can influence how radiologists interpret images: from inference to merely detection and description," they wrote. "When too much time is taken for image analysis, the time for evaluating clinical and laboratory contexts is squeezed. The radiologist is reduced to being only an image analyst." In this scenario, AI becomes an opportunity, freeing up time spent on image analysis to allow radiologists more time to interpret. AI algorithms look at medical images to identify patterns after being trained using vast numbers of exams and images. The systems then give information about the characterization of abnormal findings, mostly in terms of conditional probabilities to be applied to Bayesian decision-making. AI will allow radiologists to perform more value-added tasks, becoming more visible to patients and playing a vital role in multidisciplinary clinical teams, according to the authors. "An uneasiness among radiologists to embrace AI may be compared with the reluctance among pilots to embrace autopilot technology in the early days of automated aircraft aviation," they wrote. "However, radiologists are used to facing technological challenges because, since the beginnings of its history, radiology has been the playfield of technological development." Future research from the group will examine the application of machine-learning methods in medical imaging.